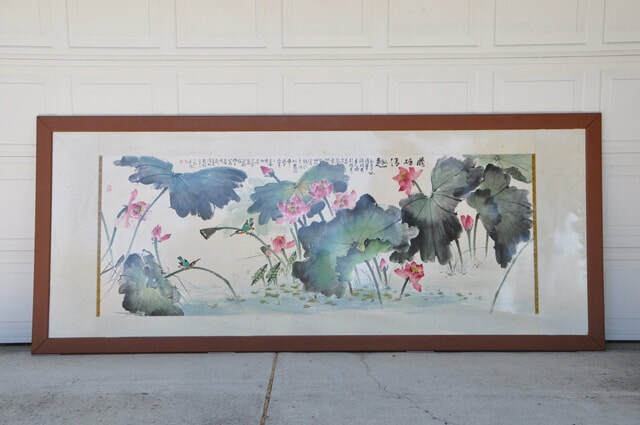 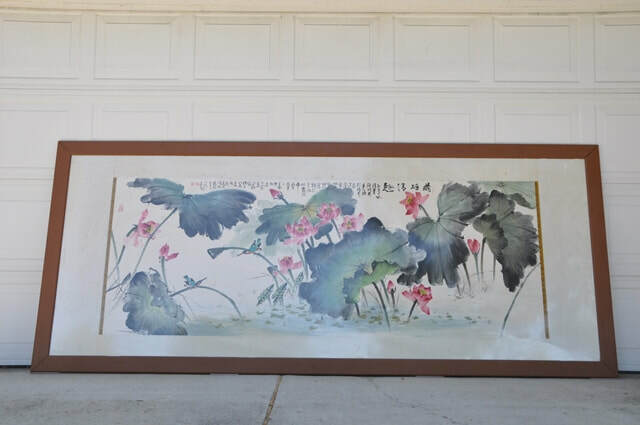 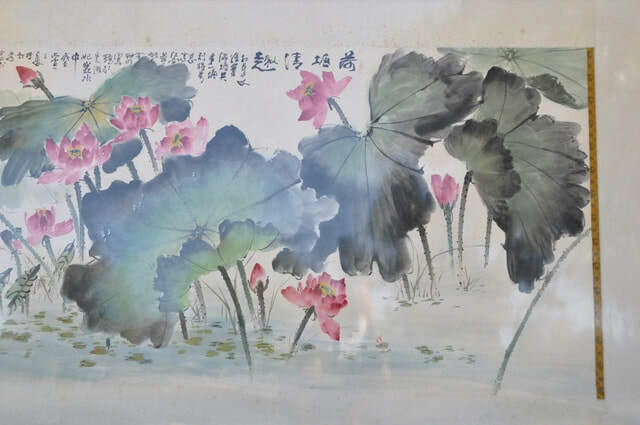 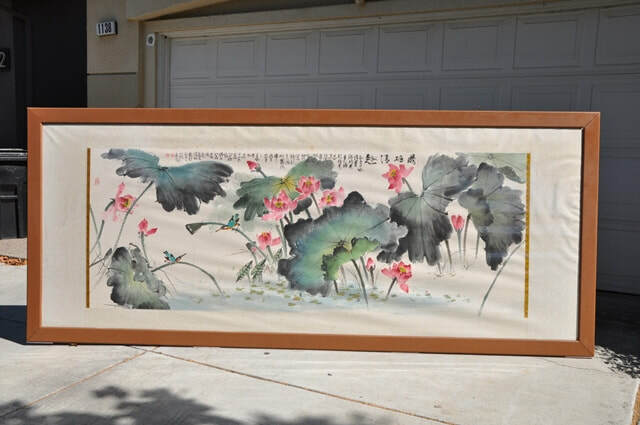 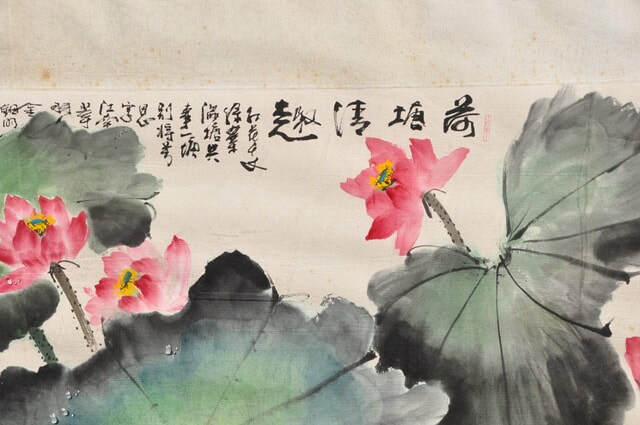 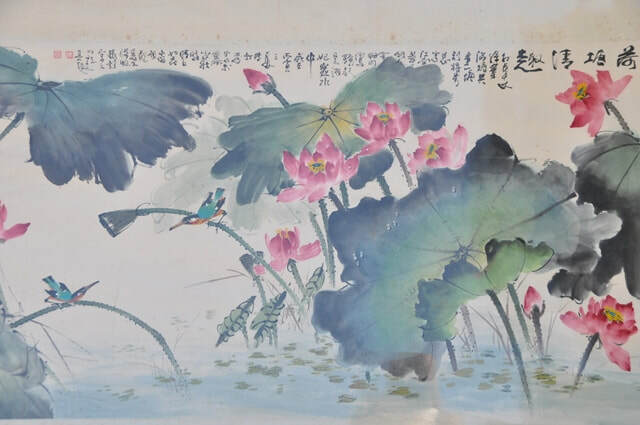 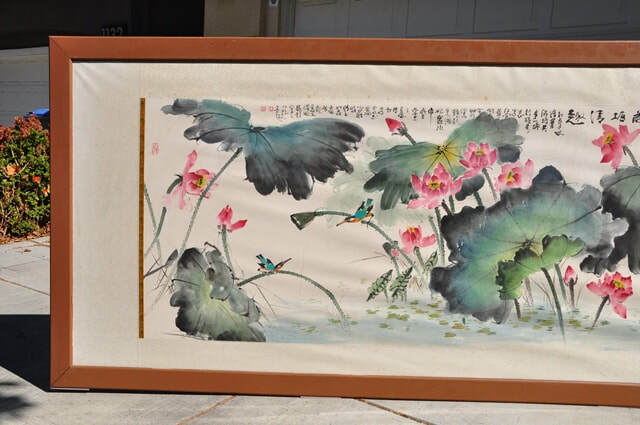 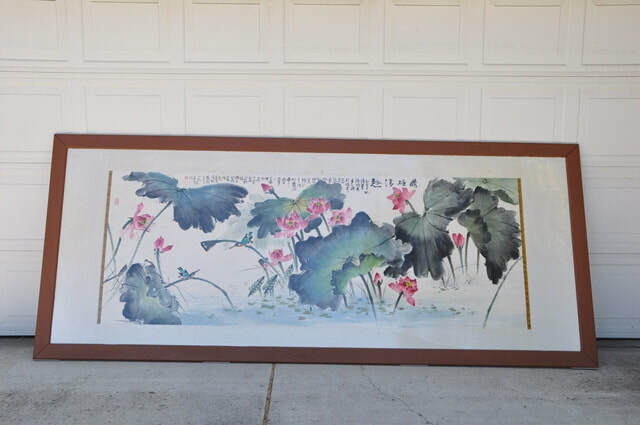 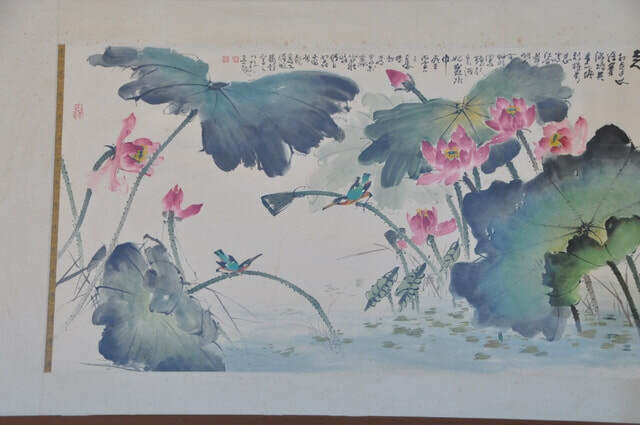 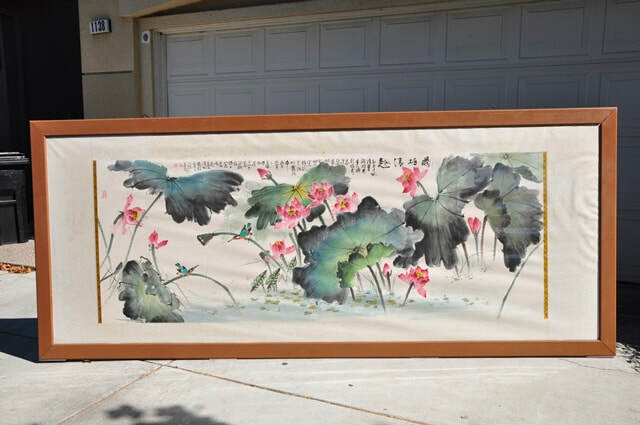 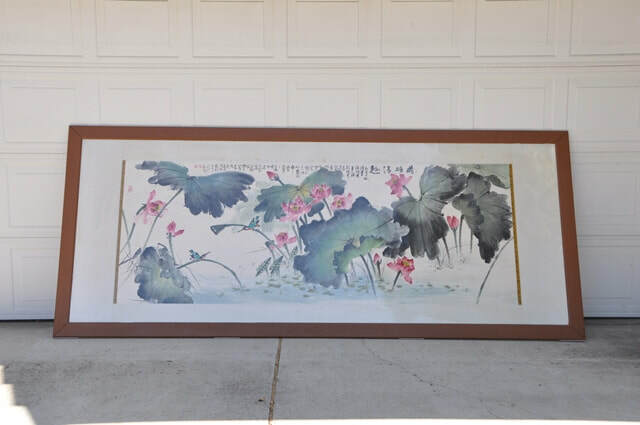 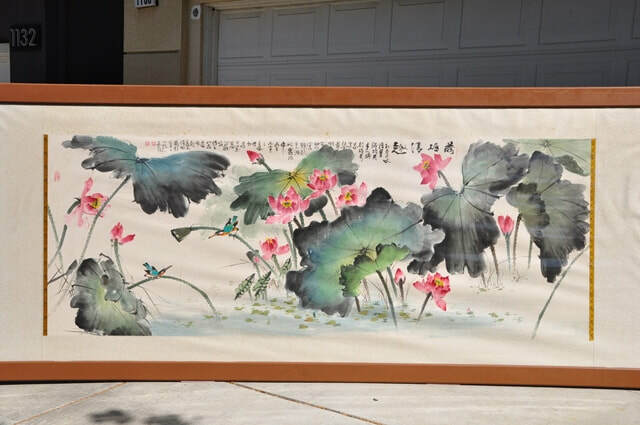 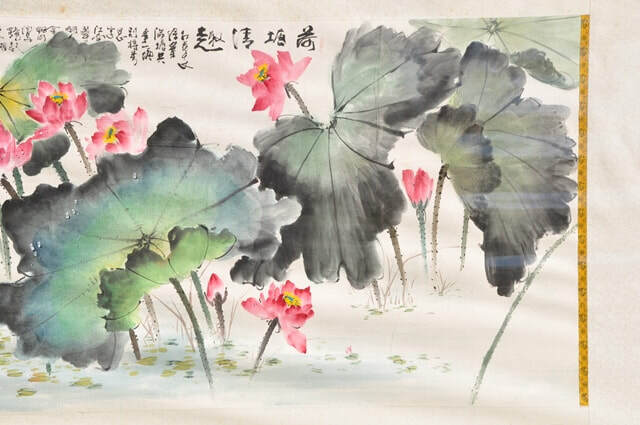 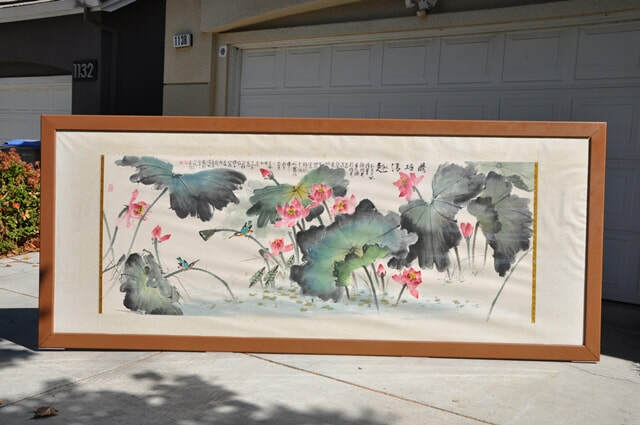 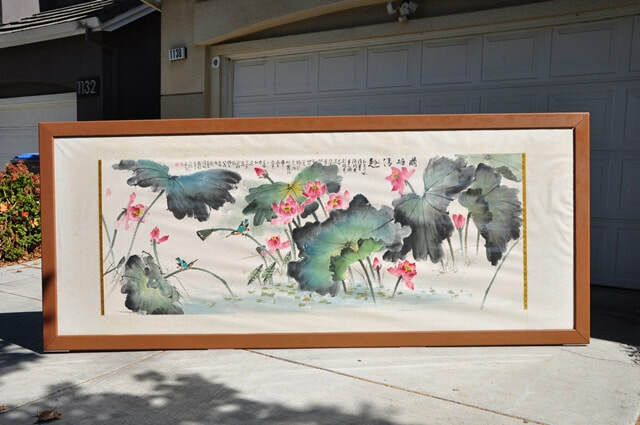 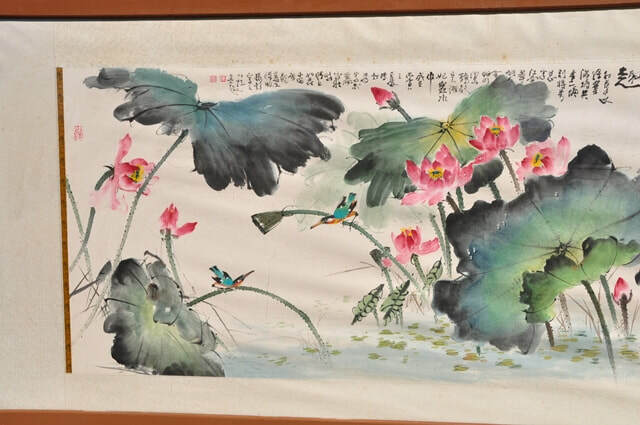 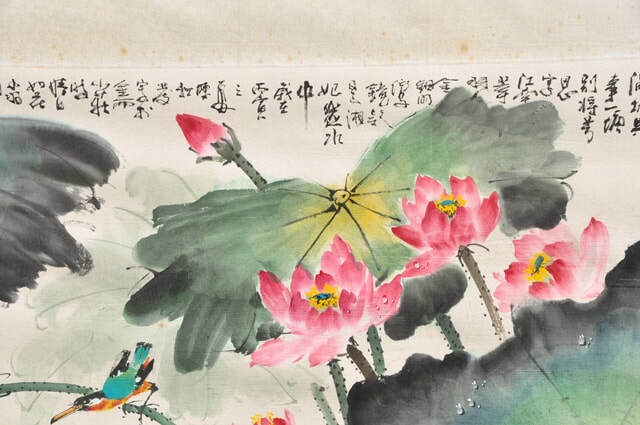 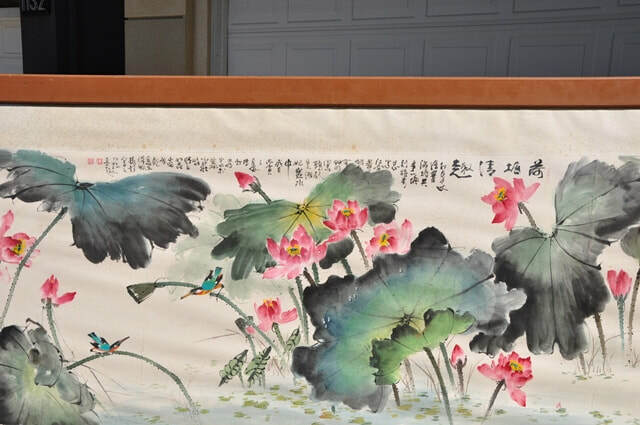 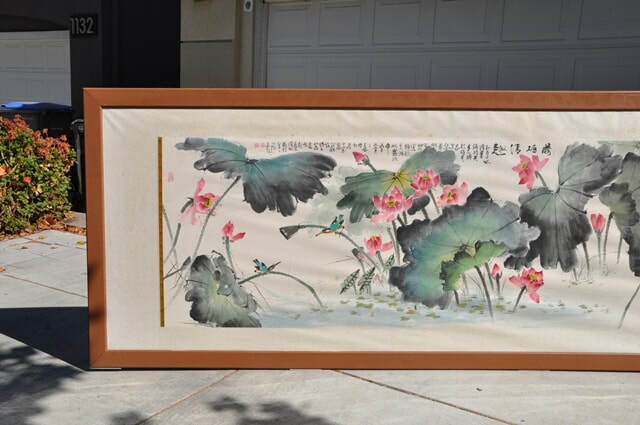 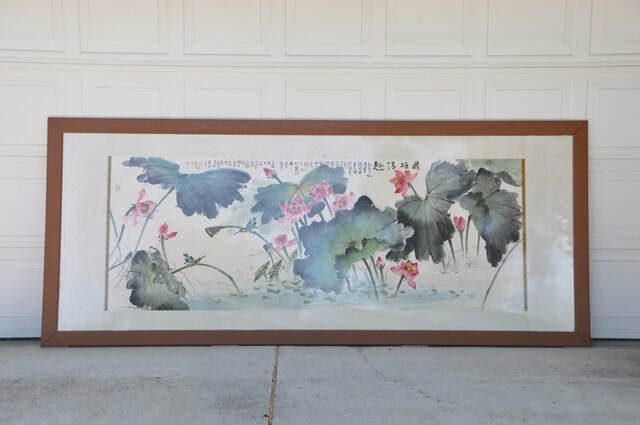 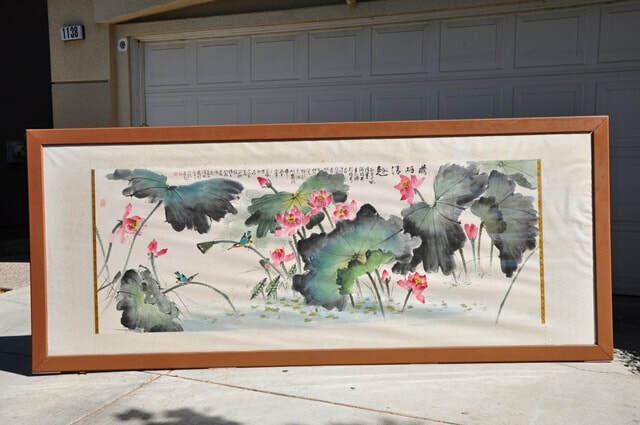 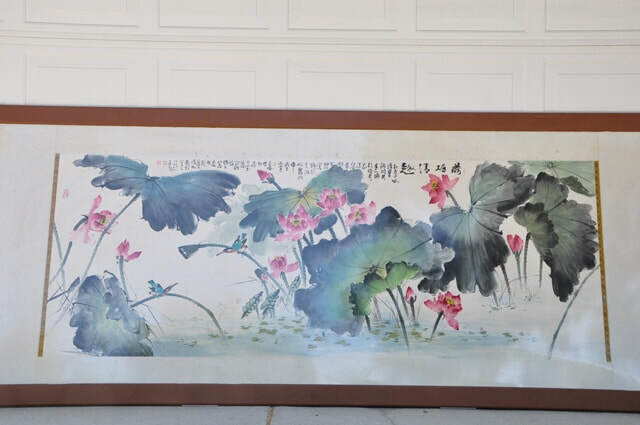 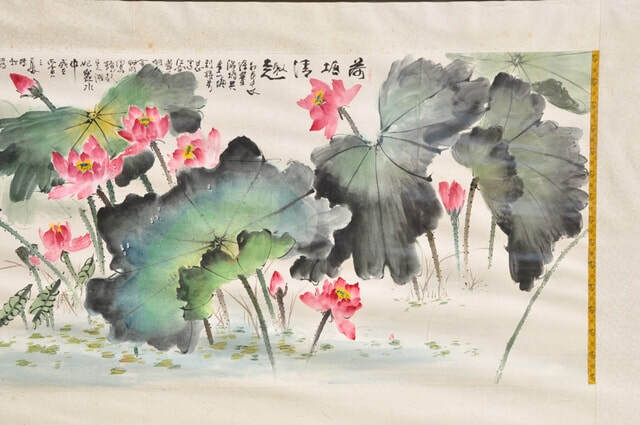 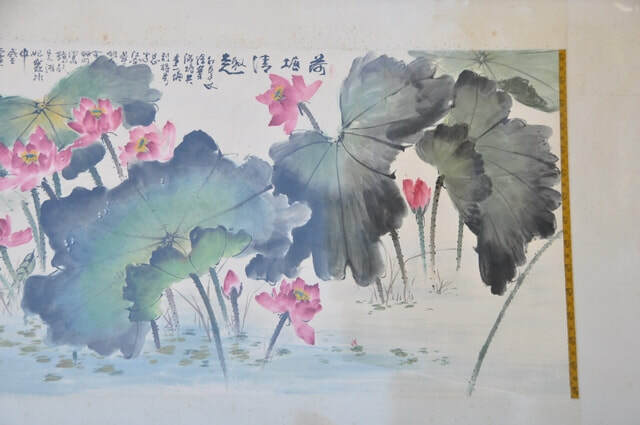 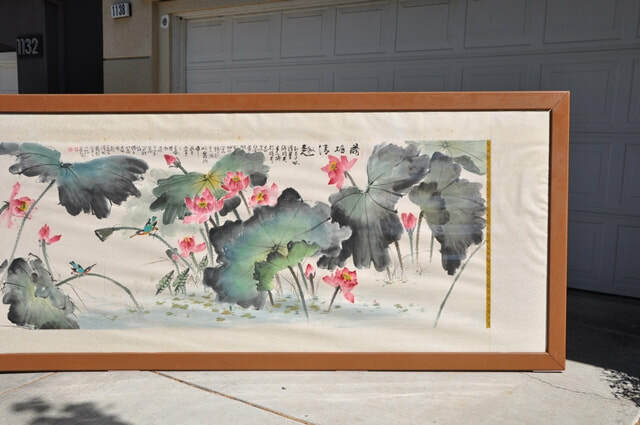 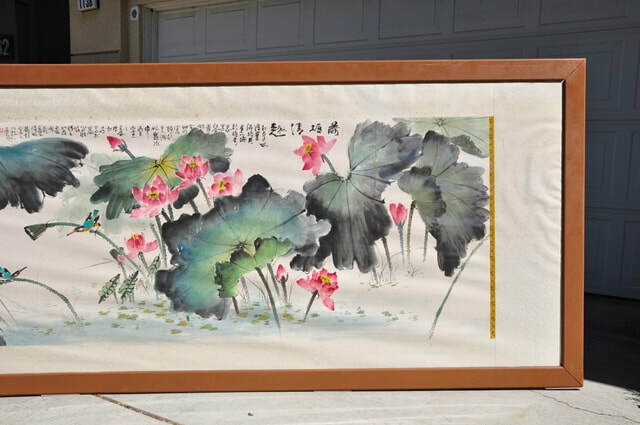 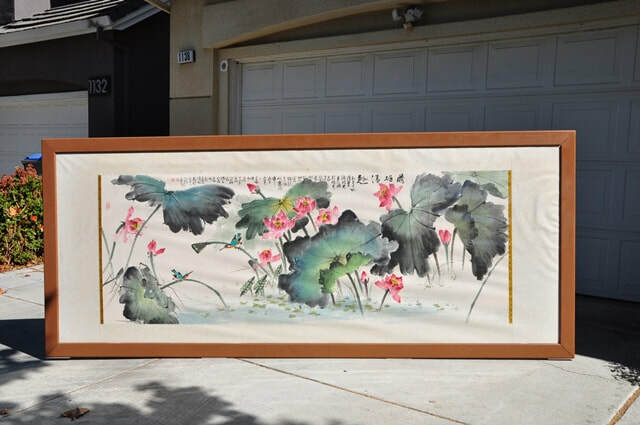 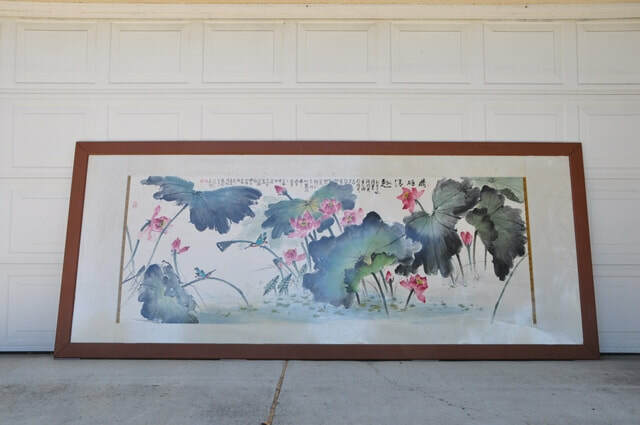 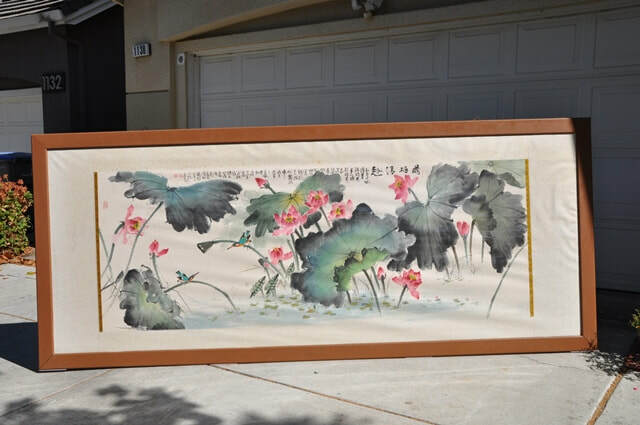 This is a large framed watercolor painting of beautiful pink lotus flowers and green leaves in a pond. 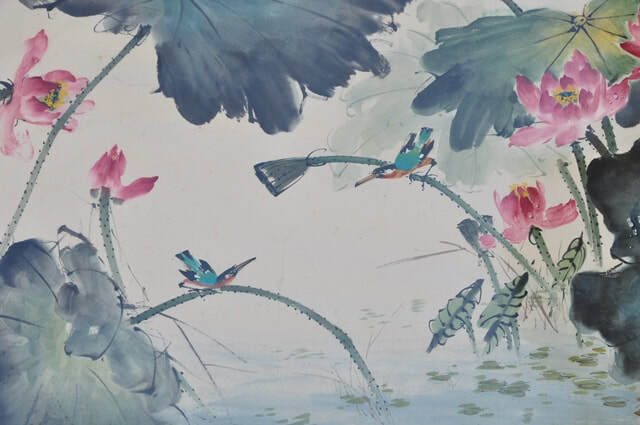 There are a few colorful birds sitting on the lotus stems. 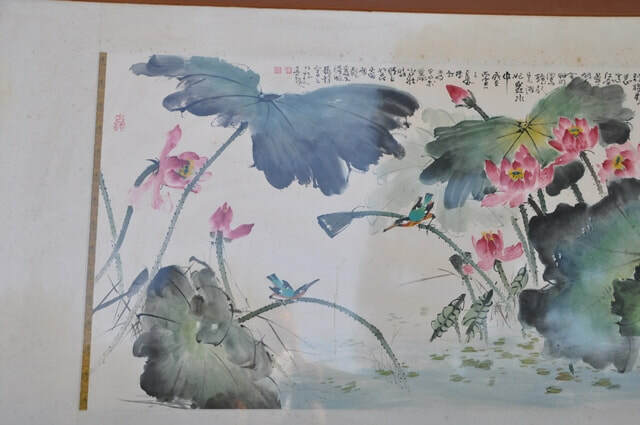 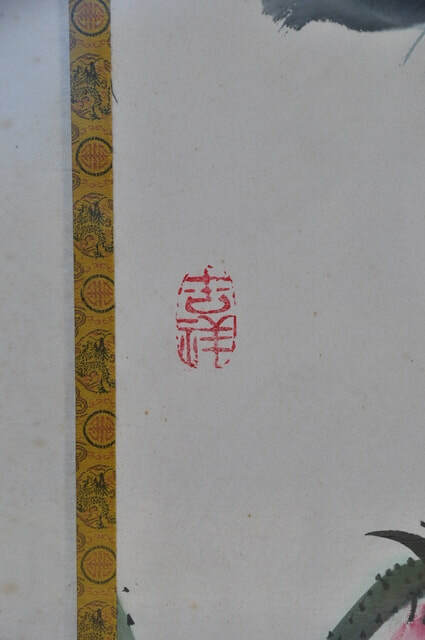 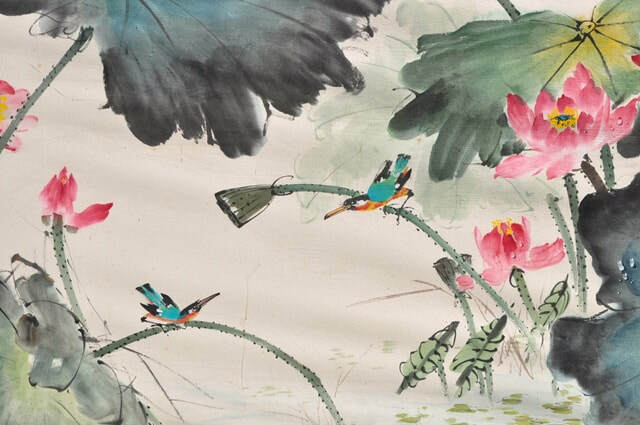 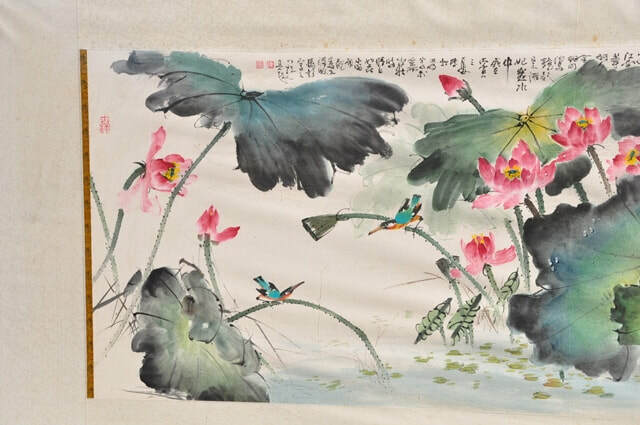 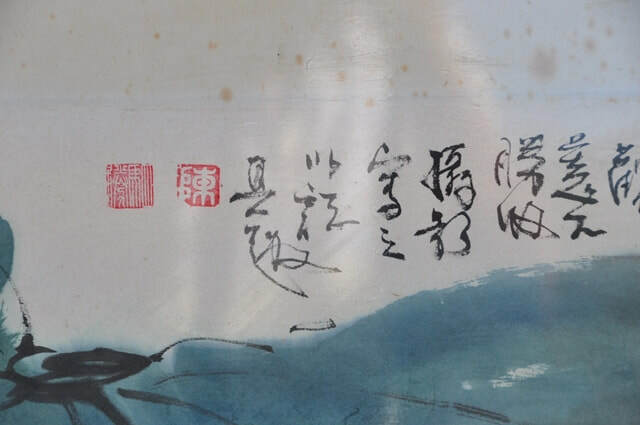 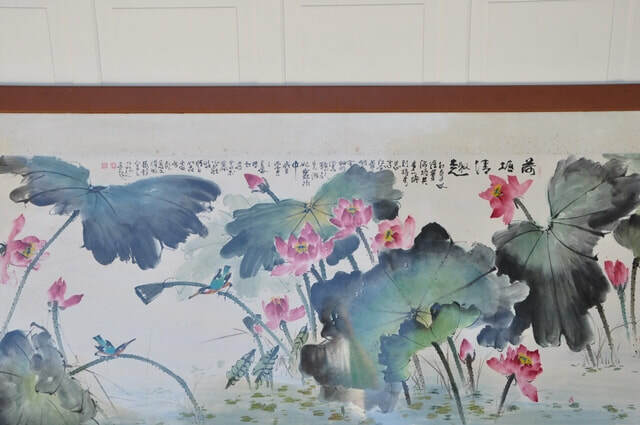 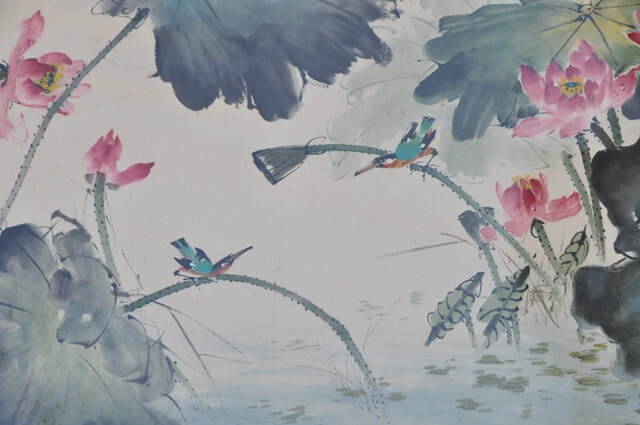 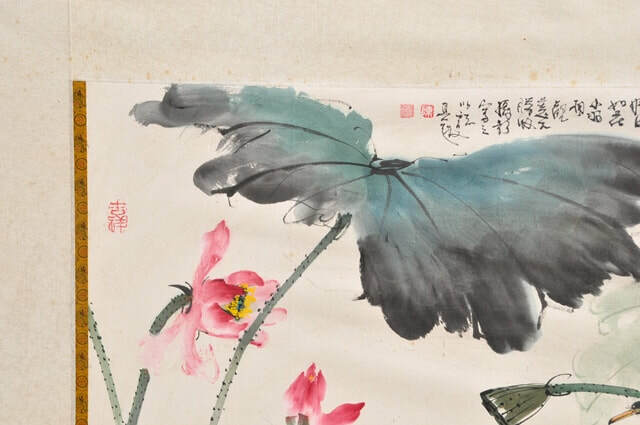 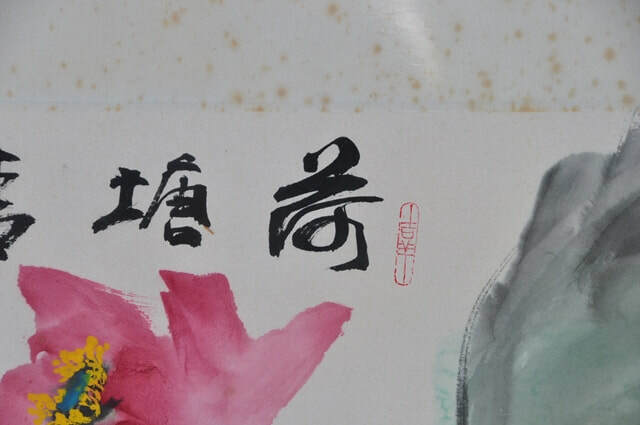 It is signed by Mr. Chen who painted it in Beijing, China in 1988. 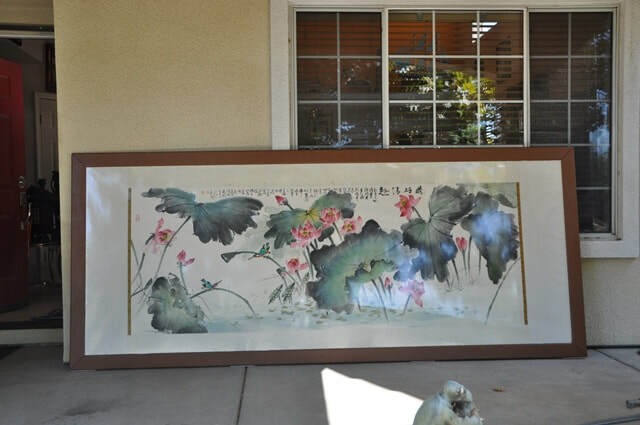 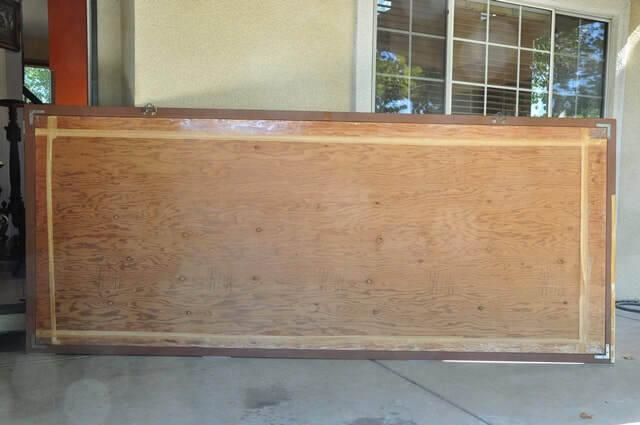 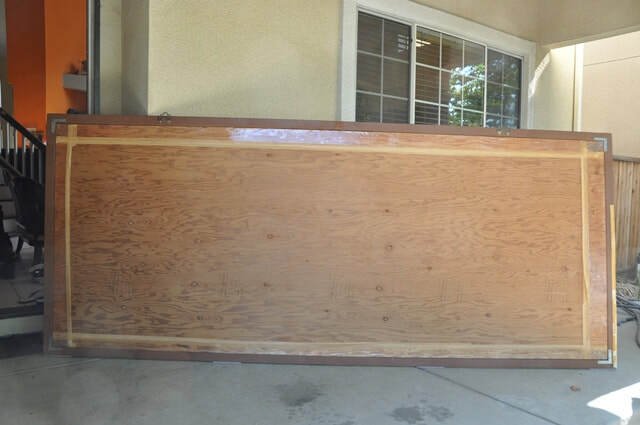 The size of the frame is 124"x51".